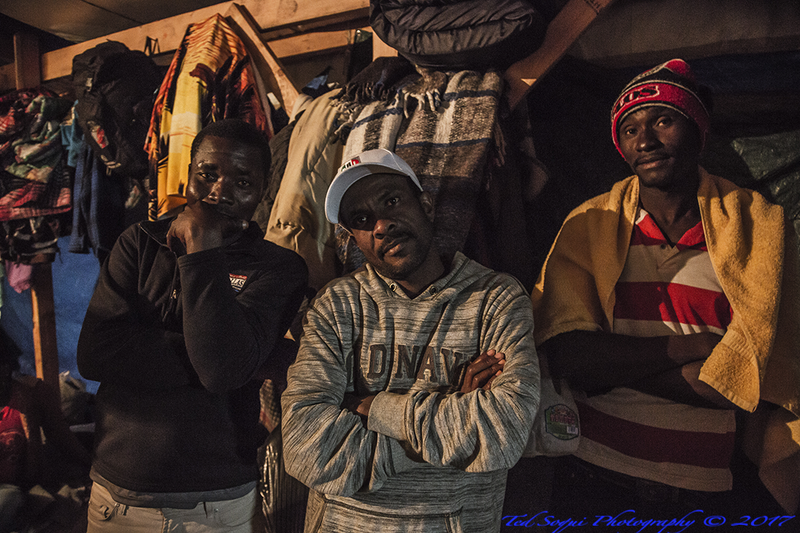 Tijuana, Mexico has a new community of refugees from Haiti. Most have travelled from Haiti to Brazil where they worked building and servicing the venues of the Olympic Games. 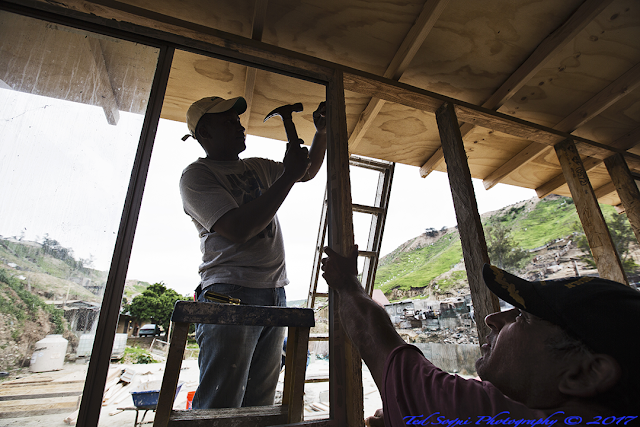 From Brazil they made their way up working in Colombia, Central America, and finally through Mexico up to Tijuana. For many of the Haitians, it has been a two year journey. 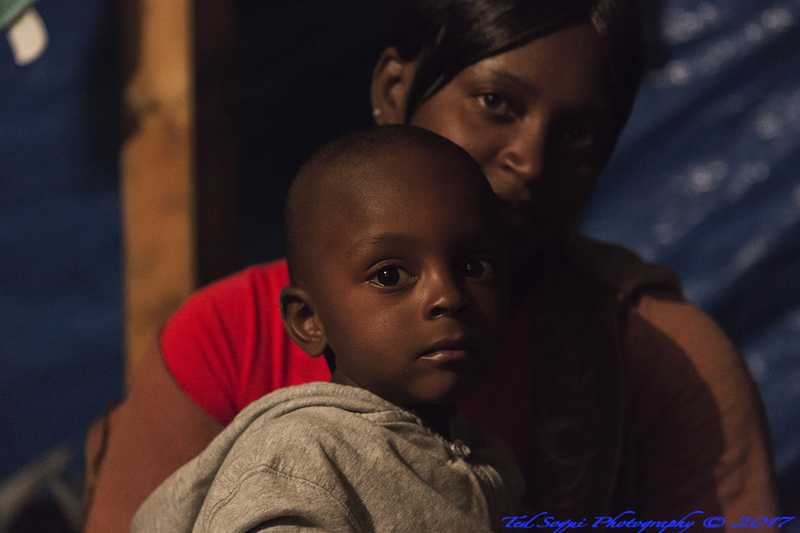 Some had children on their way, others have met with serious peril and trauma. They hoped to finally immigrate to the US for work. Rumors spread through the traveling community that President Obama would allow them to immigrate, as long as they made it to the U.S. before Trump was to take office. It was not true as they found out once they made it to Tijuana en masse. Some tried to enter illegally in to the US with little success, others tried hiring coyotes who charged as much as $20,000 per person for passage in to the U.S. Most couldn't afford it, and those who did found themselves quickly deported back to Tijuana. 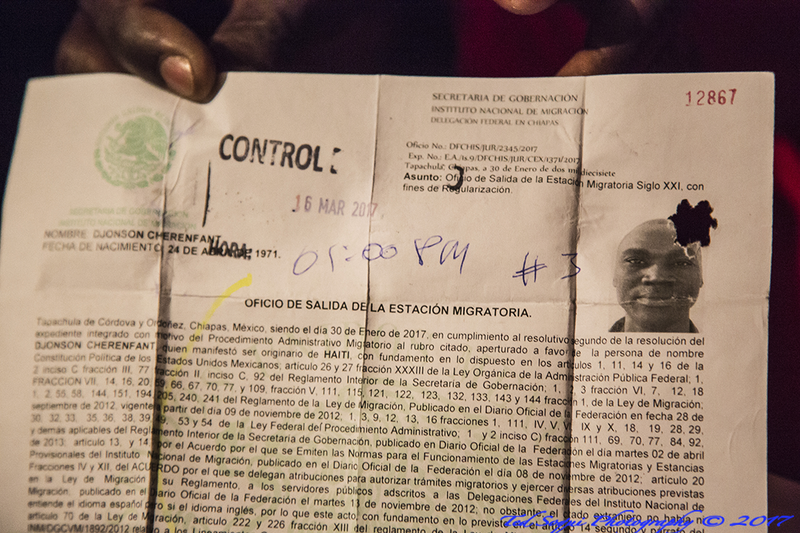 Immigration relief centers, originally made for Mexican deportees from the U.S. are now filled to capacity with Haitian refugees. Many sleep side by side on wooden shipping pallets covered with donated blankets in a recently converted parking area. Several centers are concerned that if the U.S. ships more deportees back to Mexico via Tijuana, there won't be any room for them and it will create a humanitarian disaster. A small group of evangelical Haitians have decided to stay in Tijuana for now on a church site located in Canon del Alacran (Scorpion Canyon). 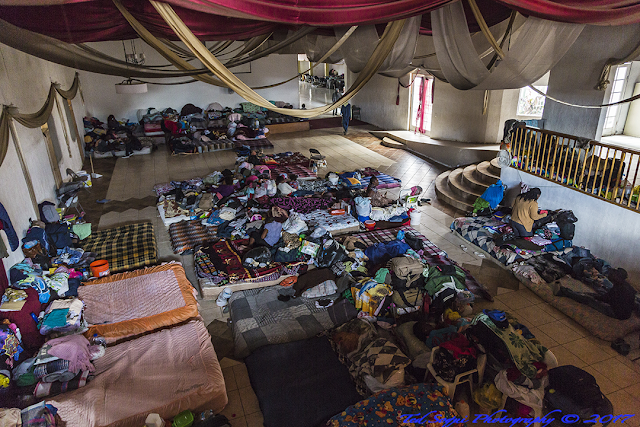 The giant church now serves at capacity as a dormitory for the Haitians. Donated food and clothing arrives daily. The pastor of the church has started to build small shacks near the church for the Haitians, and the locals have dubbed the area "Little Haiti." 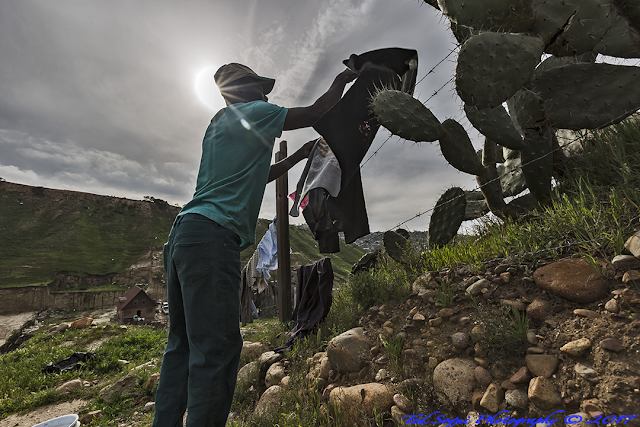 Some Haitians have tried to find work in Tijuana, jobs are scarce and the wages they get paid are so low they barely break even after a days hard work. On their journey the Haitians developed an amazing hybrid language of French-Creole-Spanish-Portuegese, often making it difficult to communicate with the locals. Many of the locals are fascinated by the tall and slender refugees. No one is sure where the Haitians will end up. For now they will remain in Tijuana, or as some of the locals now call it "Haitijuana." Son and mother in a TJ immigration center. Mexican immigration paper for a Haitian man. Local church pastor helping to build housing for the Haitians. 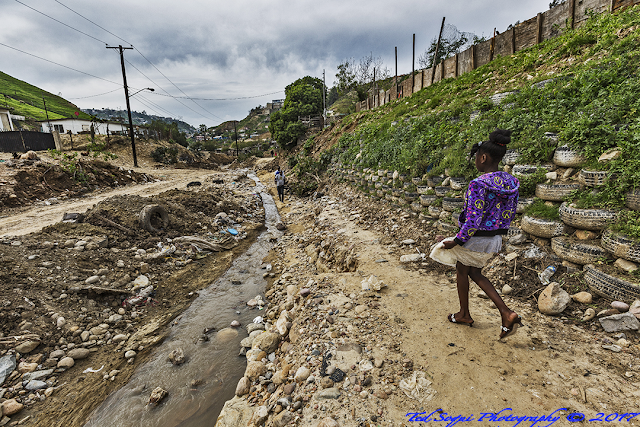 A young Haitian girl walking down the Canon Del Alacran. 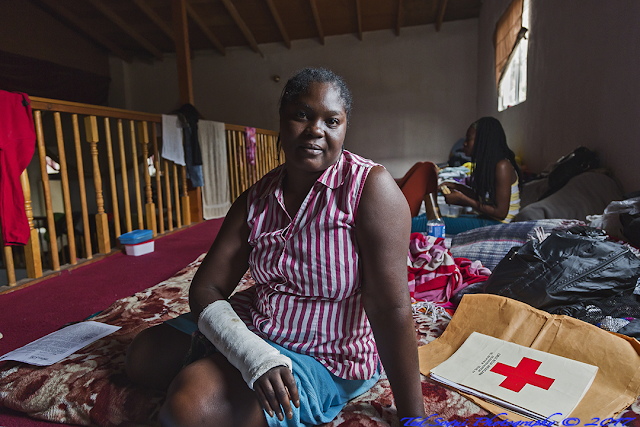 Young Haitian woman with broken bones from her perilous trip. One crowded room of the giant church which is now a dormitory. Wash day in the canyon.